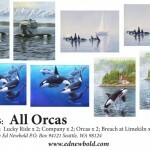 a note about the scene on the back, with envelopes. 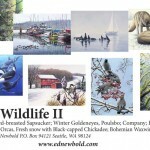 Size 4 3/4 x 6 1/2, A-6. 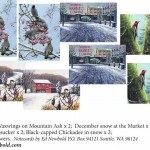 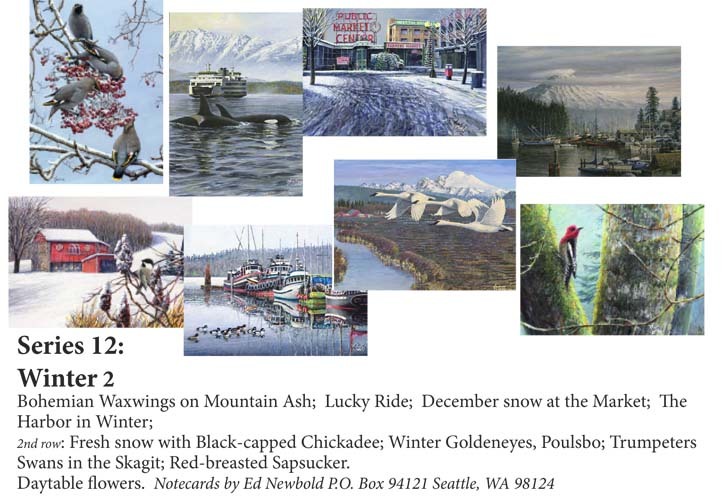 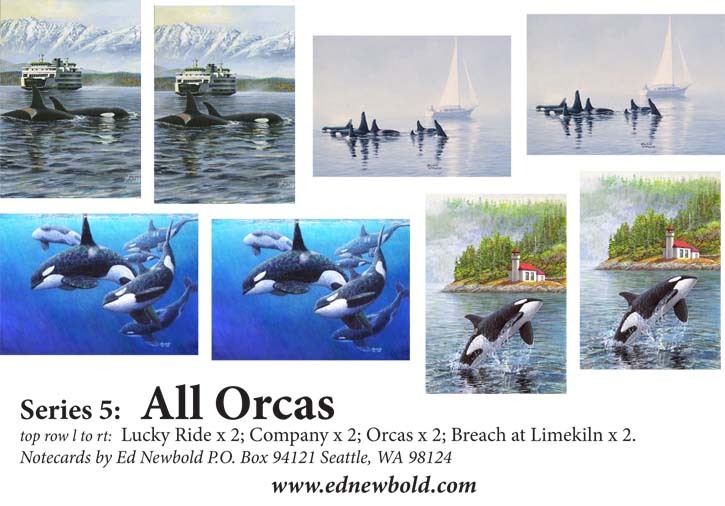 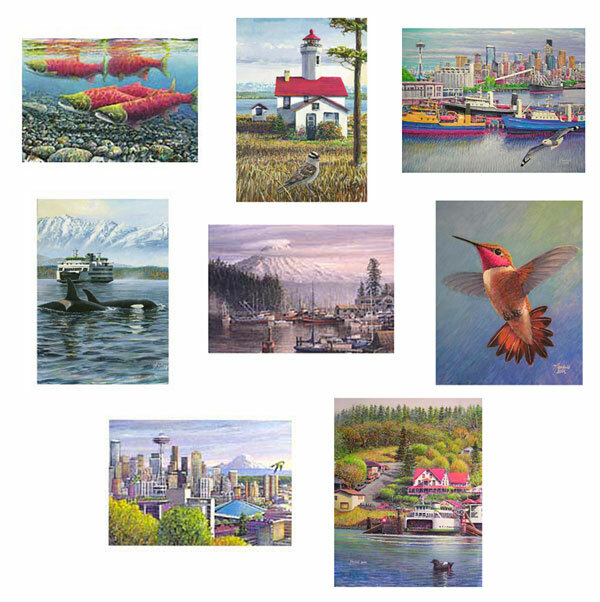 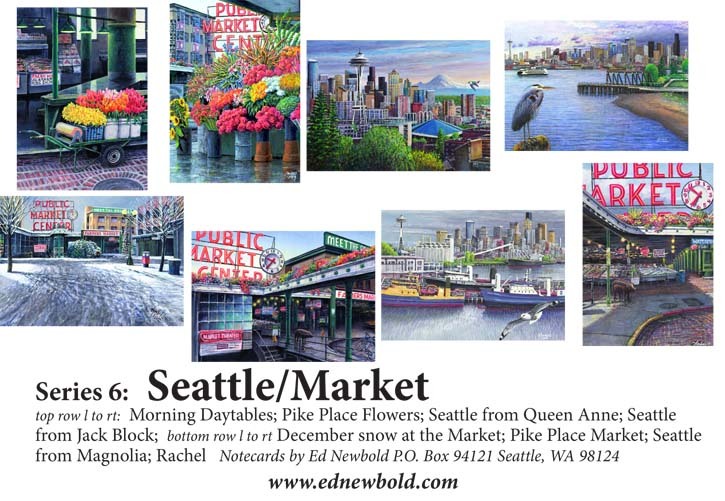 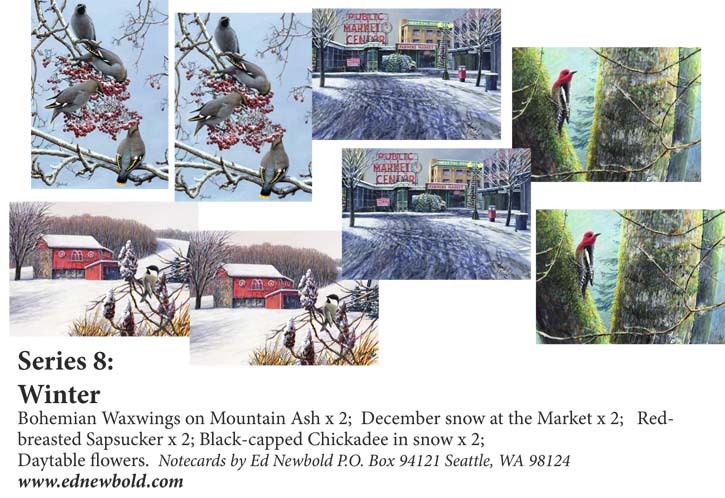 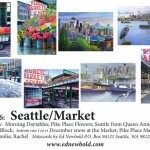 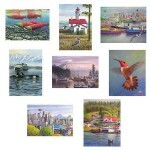 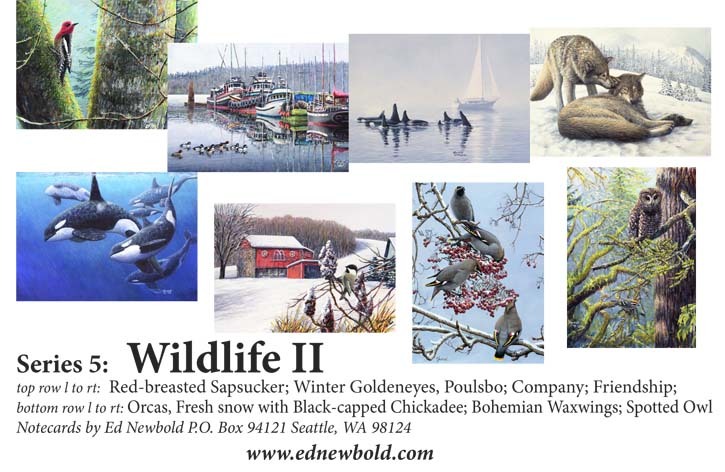 This assortment contains 8 notecards as shown: Bohemian Waxwings, Lucky Ride,Pike Market Snow; The Harbor in Winter; Fresh Snow with Chickadee; Winter Goldeneys, Poulsbo; Trumpeter Swans in the Skagit; and Red-breasted Sapsucker.